With Thanksgiving around the corner, we want to make sure we’re prepared to help you get to where you need to be. At TripActions, we pride ourselves on taking great care of you, our travelers. And whenever travelers are facing the unexpected we know our stellar support team is working overtime, and that was certainly the case last week with weather-related challenges stranding thousands. Last week's events suddenly changed many of our travelers’ plans, leading to a 60% spike in contact volume for our support team. 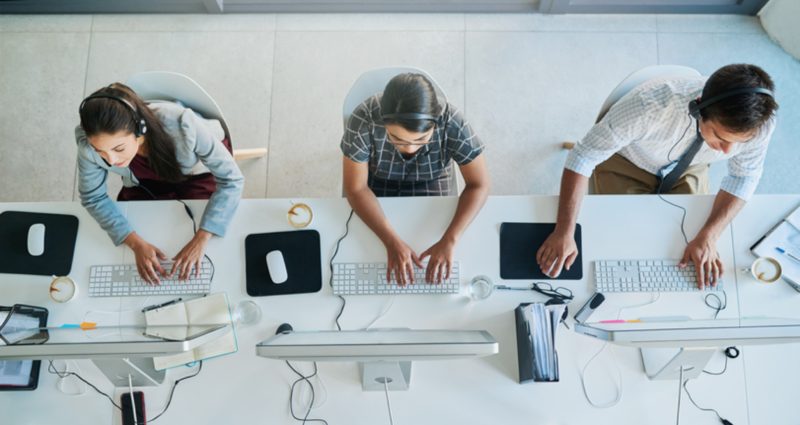 Thanks to the power of our custom-built support tools, the convenience of our chat-based solution, and our team’s amazing dedication, we were able to rebook our travelers with empathy and efficiency, earning us a 95% traveler satisfaction rating. 64% of road warriors tell us they have to fend for themselves when something goes wrong on the road. 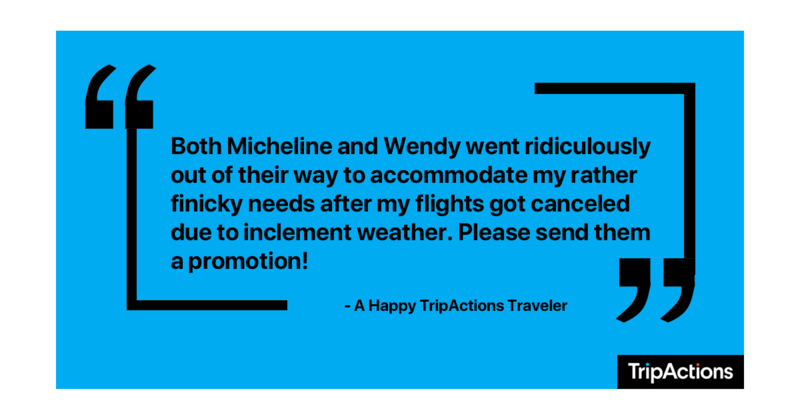 As fellow travelers, we know what a relief it is to feel like you’ve got someone by your side, and nothing makes us happier than hearing that our travelers find that trusted someone in our support staff, especially last week. To find out more about how TripActions is raising the bar for business travel, and how we can help you out of your next travel bind, read more stories from our customers.